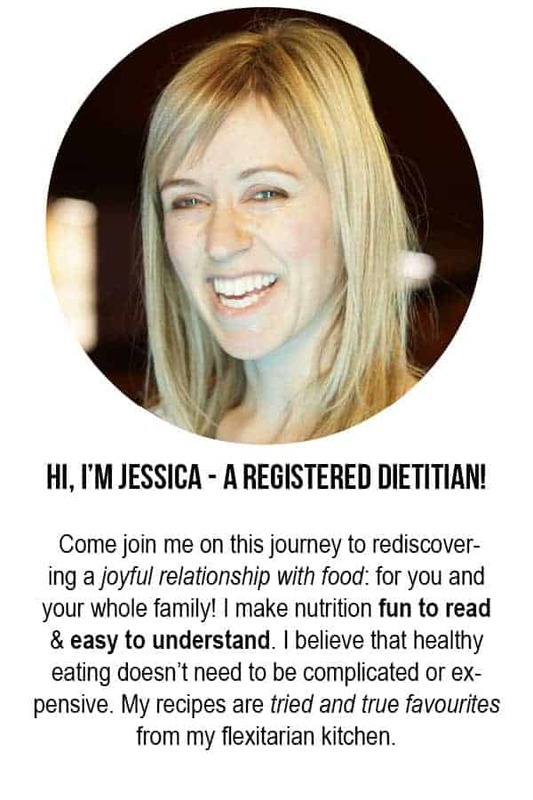 This quote was passed on to me through a colleague of mine, a registered dietitian. A client came to see her for learning about eating healthy. This person genuinely thought that healthy eating HAD to include eating kale! While kale is certainly a nutritious food, it’s not the be all and end all of healthy eating. You really can eat a healthy, varied diet without consuming kale. That’s what I did for years. I was completely fine with my kale-less existence. I had tried kale chips and thought they were delicious, but they took far too much time to make a decent sized batch. I didn’t really like sauteed kale, and I didn’t go out of my way to put it into salads. In fact, I heard that a fan of my blog stuck around to read my articles specifically because I was approachable and didn’t push kale all the time. 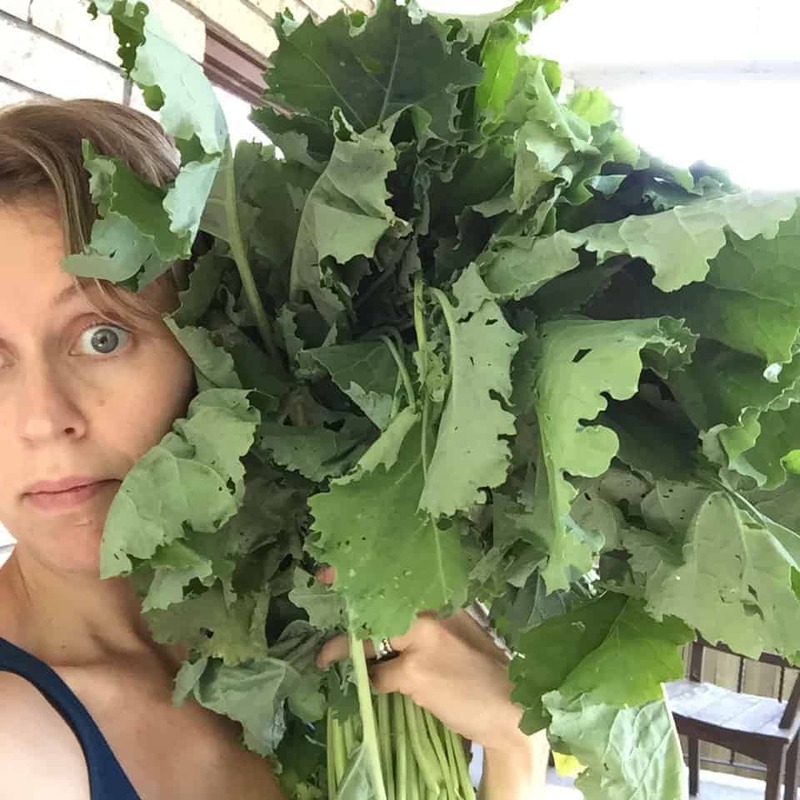 What’s a non-kale lover supposed to do with all that kale?! Turns out all I needed was a large supply of kale to fall in love with the stuff. So you’ll have to excuse me but there are now going to be kale recipes coming your way. I promise I’ll never be a kale pusher. You really can still live a healthy life without ever touching a leaf of the stuff. 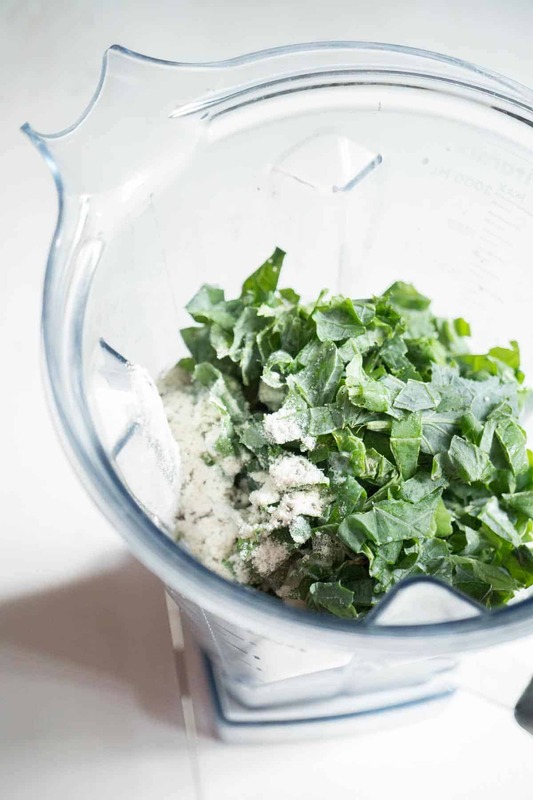 But if you’ve ever wanted a recipe to change your mind about kale, this is it! 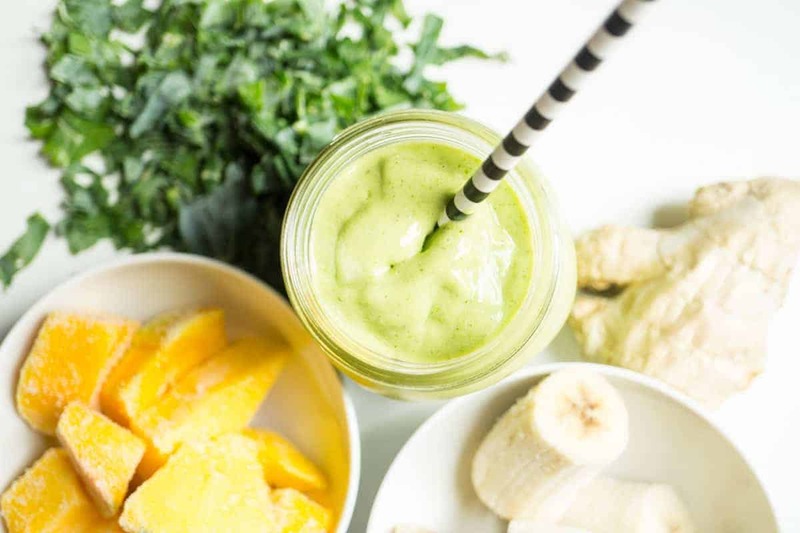 The best way to describe this smoothie is refreshing. The little bit of ginger adds a zippiness without being overpowering. You can barely tell that it’s even in there. My husband was surprised when I told him about the ginger. The dominant flavour is the mango and the coconut, which is why I called this a tropical smoothie. And of course we have to talk about the kale: you can’t really taste it in here! It just adds a lovely green hue (and extra nutrition, naturally). 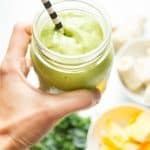 Normally I keep protein as the focus of my smoothies, as I most usually have them for breakfast and I want a good amount of protein to keep me feeling full for hours. But this one is just light and refreshing. It’s a perfect drink to keep you feeling refreshed on the patio, or for an afternoon snack. If you have it at breakfast, I’d recommend eating it alongside some eggs for protein power. If you give this recipe a go, let me know! Leave a comment, rate it, or snap a photo and tag it with #smartnutritionrecipes on Instagram! I’d love to see your creations! 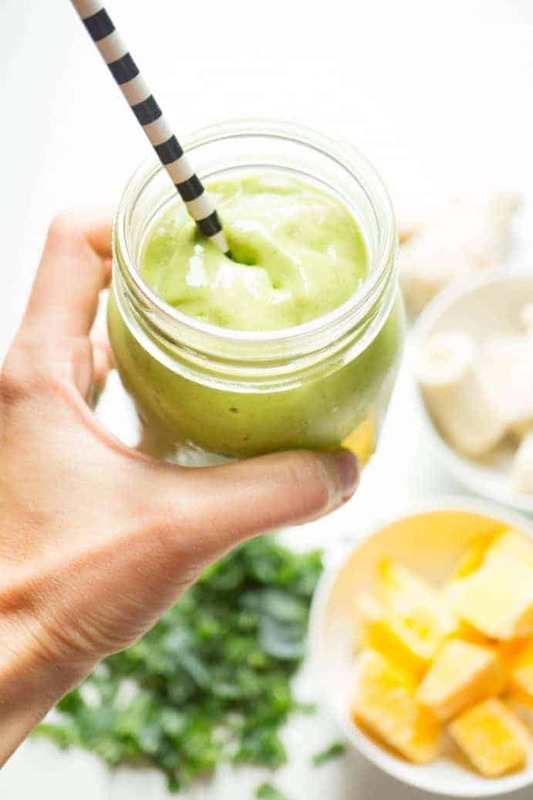 A refreshing and light tropical smoothie! Place all ingredients in blender in order specified. Start on low then turn up to high speed. I used the coconut beverage that you would find in the dairy replacement section. You could also use homemade coconut milk or canned but it would be much higher in fat and calories.